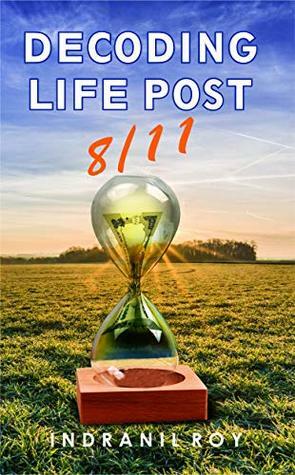 Decoding Life Post 8/11 is the second book of Indranil Roy. The plot of the book based on Demonetization. The settings placed on Howrah, West Bengal. The title is alluring. The cover page gives you an understanding of time and money stuck with each other but, it could have been better. The main character of this story is Arjun, an accountant. Nisha worked in a hospital as a nurse and ex-love interest of Arjun. Sunny, a misunderstood person by society and his own family. He fell into drug addiction. The story revolves around them. The author describes how demonetization added fuel into their miserable conditions. Arjun was Sunny's neighbor, but they share a special bond of brotherhood with each other. Sunny's father hated him because of his effeminacy. Nisha held Sunny responsible for her pain. They all suffered from their own problems, but destiny brings them all together. Arjun lost his parents in an accident, and soon he started losing all his loved ones. There are few side characters as well which played a dominant role in the story. Indranil Roy describes how common people wait in a long queue where the wealthy ones use back-door for their filthy business. He also questions on social issues like HIV/AIDS. The way hospitals rob in the name of treatment is clearly seen in this story. The way people lost their temper when the Indian government banned 500 and 1000 rupees notes. There are few spelling mistakes and punctuation errors. But they didn't break the flow of reading. I felt that Sunny's character is overshadowed by Arjun's. The language is simple and easily understandable. The characters grow with the story and narration is well ordered. Indranil Roy did a commendable job in this book. One can feel the connection with characters and rage towards society. The story is fast-paced and gripping. Every instance is described neatly. The story goes dark as the truth reveals. The characters go through an emotional dilemma. But they have each other back. Arjun and Nisha's love story touches the heart. The sacrifices they made for love and family is ill-timed but, they left with no other options. The fear of losing someone will make you things which you can never imagine. Apart from love and pain, this story is also about revenge. Revenge from those who destroy Arjun's life. Overall, it's a good piece of work. I recommend it to everyone. Only the machines know whether he is alive or dead. And they say that a machine can never know as much as a man! I don't know people can turn deaf to such cry. Closing line - Arjun needed her but, she knew that she needed him even more. Demonetization came as a bolt from the blue to every Indian on 8/11/2016. Most people were hurt financially, while Arujun, Nisha, and Sunny saw their world tumbling down before them. Left with no other option but to combat against it, they decided to stand by each other to confront the emotionally catastrophic situation together. While the nation was struggling to get in terms with the unprecedented economic turmoil, they had other social evils to stand up against as well. Indranil Roy is a teacher by profession, working at Heritage Academy High School, Howrah since past nine years. He is an M.A. in English from Rabindra Bharati University. He authored the much-acclaimed novel, The Man Behind the Teacher's Desk.